Dog behaviour training is about changing the dog's behaviour once and for all. It is the most successful way to deal with any dog behaviour problems as it addresses the cause of the problem. Desensitization and counter-conditioning are the most common treatments for canine anxiety, phobias, fear, and aggression, i.e. any behavioural problem that involves arousal or emotional reaction. Using dog training techniques like these requires serious commitment from the dog owner, and sometimes from a third party as well. For example, if your dog is afraid of going to the Vet, then you need your Vet to cooperate if you want to use dog behaviour correction tactics. Dog behaviour modification training is therefore not always practical in real life. However, if you do apply them correctly, they can be very successful, even for the most severe cases of dog behaviour problems. Desensitization is about making the dog less sensitive by gradually exposing him to what he fears, whether it is a place, event, noise, other dog or animal, certain type of people, etc. Systematic desensitization is a structured plan. It starts by exposing the dog to a weak, less threatening version of the thing he fears. It can be less noisy version (firework), shorter lasting (thunder), smaller (another dog), slower (car), further away (type of person), still rather then moving (lawnmower), etc. With repetition over time, the dog gets accustomed to this weak version. The exposure is then increased a little bit, e.g. by moving the thing closer or by increasing the volume. When the dog is fine with the increased version, the exposure is increased again. This is repeated as often as required, or until full (normal) exposure is achieved. You need some kind of a reward for your dog when he accomplishes what he is supposed to, e.g. to stay calm by the sight of another dog. Timing is however crucial, it is vital that you do not reward your dog while he is fearful or anxious. Let's take couple of examples how systematic desensitization can work. Let's say your dog is afraid of one of your friend for some reason (he may have a beard, wear glasses, or something else your dog is not used to). Start by exposing your dog to him while he stands still and far away. Repeat as needed, and then ask your friend to stand closer. Then let him move slowly closer. Ask him to ignore your dog while you are doing this, i.e. not look at him directly, and not reach out to him. In the end, your friend should be able to move normally around your dog, and ideally be able to interact with him, i.e. playing or petting him. It is ideal to use rewards, like favourite treat or toy, to speed up the process. Another example is if your dog is afraid of certain noise, e.g. fireworks or thunderstorm. You will need a CD with the relevant sound. You start by playing it at very low level and when your dog is calm, you reward him. You gradually increase the sound over time until you have reached the normal level. Systematic desensitization requires lot of patience from the dog owner, but the hard effort should be worth it in the end. Counter means to change and condition means to teach so counter-conditioning is about teaching your dog to change his reaction to the thing he fears, i.e. to display an acceptable behaviour as a response to certain stimulus. Simply put you are re-programming your dog to have a pleasant feeling and reaction towards something he previously feared or disliked. This is done by associating the feared thing with something pleasurable for the dog, like his favourite toy, treat, or game. Over time, the dog will associate the dreaded thing with something pleasurable and therefore stop fearing it. Let's take an example how counter-conditioning can work. Let's say your dog is afraid of your elderly neighbour. So give your dog his favourite treat every time he sees the neighbour. This means you may have to carry the treat with you all the time and you must be on special lookout for your neighbour every time you leave the house. This would work much better if you could work with your neighbour and introduce the dog to him in a systematic manner. If done correctly your dog will soon be wagging his tail at the sight or sound of your neighbour, expecting something great to happen. These two dog behaviour training methods are frequently used together. The dog is exposed to the weakest version of the feared object (desensitization) and immediately gets his reward (counter-conditioning). The exposure is increased over time, always followed by his reward. It depends on your dog, how severe his fear is, how much time and effort you put into the dog behaviour modification training, etc. Therefore, it can take hours, days, weeks, months, or even years. In the most severe cases, you may never be able to fully resolve your dog issues (despite your best efforts and being fully committed). In those cases, just lowering your dog reaction to what triggers his fear can make all the difference for him… and you. You can do your research and attempt correcting your dog's behaviour on your own. However, if your dog has serious issues with something, then you may be better of seeking professional help. 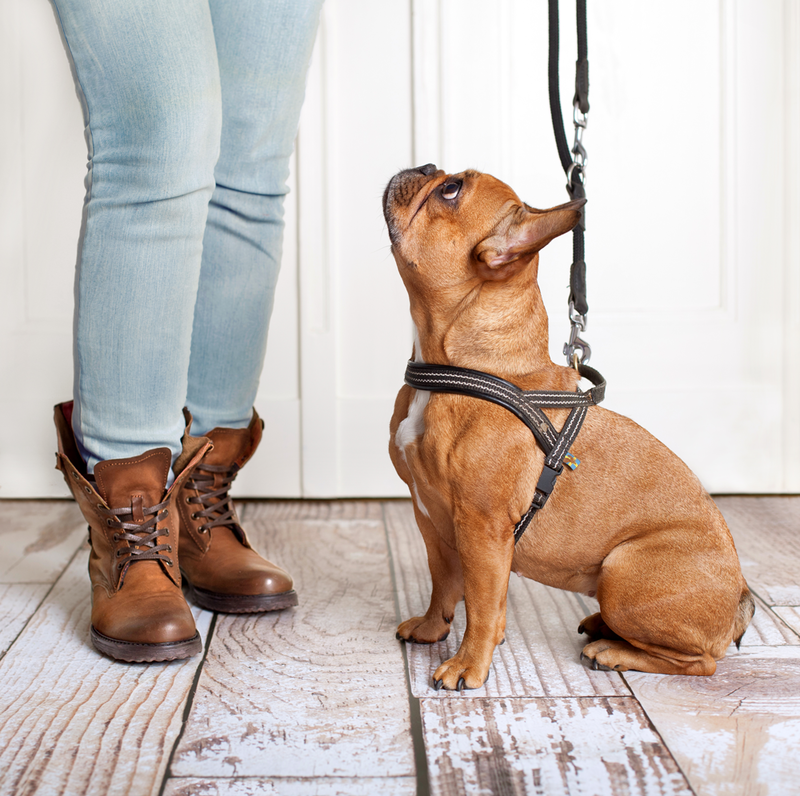 You can look for dog training classes near you or work with an experienced dog behaviourist. Whatever you do, don't do nothing. If your dog has issue with something, you need to address it and the sooner the better. The problem is unlikely to go away on its own and usually only gets worse with time. maxxicalm comes with an eBook that contains practical dog behaviour advice. Following them will increase your chances of getting the situation permanently under control. The eBook recommends changes that can be helpful to deal with various situations that your dog may find stressful, like separation anxiety, travel anxiety, aggression, hyper behaviour, fear of fireworks and thunderstorms, etc. We also look at the role of the owner, because let's face it, we are the most important person in our dog’s life and our behaviour affects our dogs. As dog owners, we know which situations upset our dogs. For some it’s being left alone, for others it’s trips to the vet, thunderstorms, or unexpected visitors. 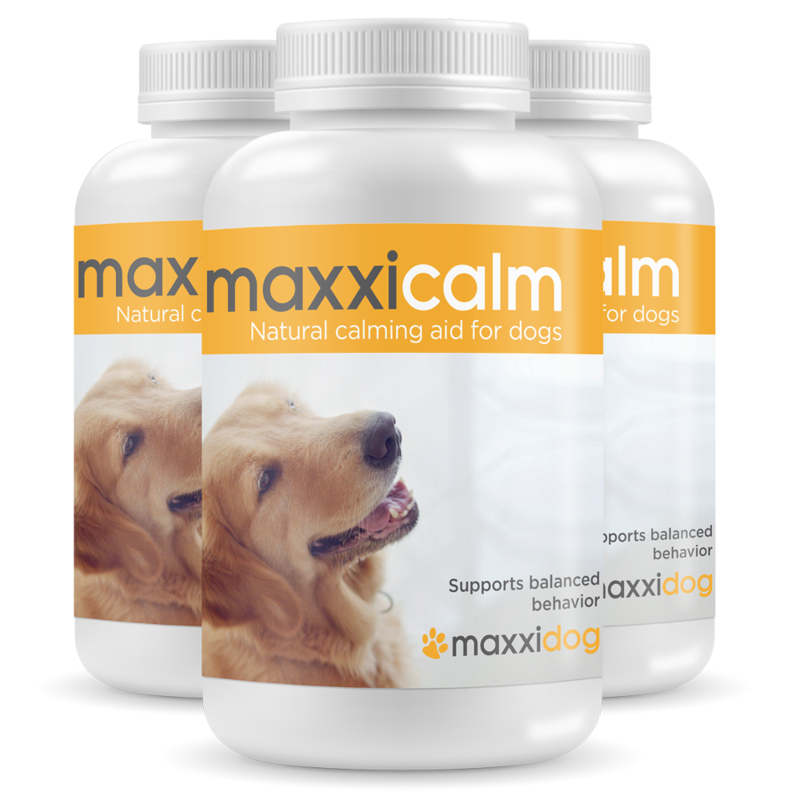 Whether it’s part of their nature or an understandable reaction to difficult life circumstances, such as rescue dogs that were previously abused, maxxicalm can be an integral part of helping you create more balanced behaviour in your dog.